Welcome Home to the Hernandez Beltran Family! Diego and his wife, Laura live in the Felipe Angeles community of Juarez, Mexico with their two children Claudia (15) and Diego Jr. (13). While both the children attend school, Laura is a stay at home mother and Diego works as a parking lot attendant. 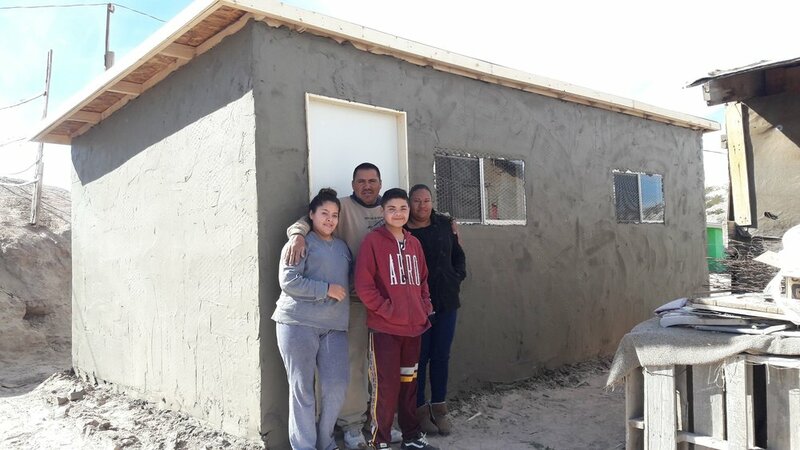 The family's previous home was made from used materials, had a plywood and tarp roof, and a dirt floor, but now, thanks to your kindness, they have a brand new home! The Hernandez Beltran family's message to you is, "We are so very grateful to God and generous people like you that are blessing our family." Thank you for generously supporting Diego, Laura and their children.